Isn’t it amazing that this thing we look forward throughout what seems to be an unending off-season goes by in the virtual blink of an eye? But that always seems to be the case with the February portion of the racing season. There were a multitude of questions for Dirt Late Model fans, pundits, and participants to ponder going into the 2019 version of Georgia-Florida SpeedWeeks. Scores of driver and team changes, chassis changes, and engine supplier changes made news and stirred social media debate during the recent off-season. Further, several drivers and teams had either announced that they would try their hand at a particular national touring series for the first time or would switch from one of those two tours to the other for the upcoming campaign which raised even more questions. Obviously, a driver’s full season can’t be judged based off of his efforts on the few tracks at which he may have competed during the past three weeks, especially when it is considered that some of those drivers may count those SpeedWeeks tracks among their favorites or their least favorites. 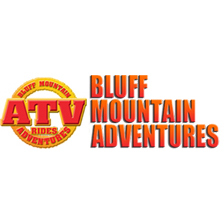 But still, the time spent in the southeastern most part of the country during February can offer at least a bit of a snapshot regarding what might be expected throughout the 2019 season. 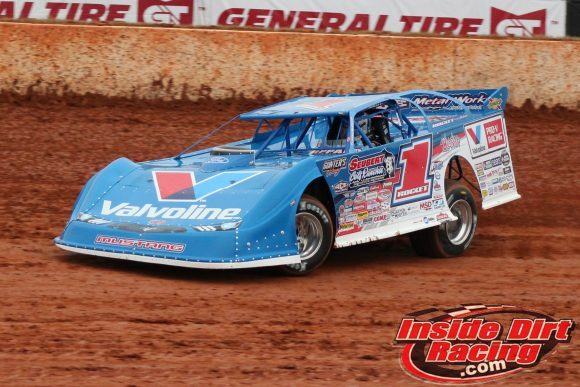 Brandon Sheppard: There’s no doubt that the driver of the Rocket Chassis house car emerged as the favorite to claim his second World of Outlaws Late Model Series crown. Sheppard earned 18 wins on his way to the WoO Late Models title in 2017 and then took home 13 checkered flags in series competition in 2018 as he drove to a second place result in the final standings. If double-digit wins were the expectation for the No. 1 machine going into this year, he is already well on his way after scoring four victories at Volusia Speedway Park over the final four nights of racing there. Also realize that this Mark Richards-led team scored an impressive ten top-5 finishes in only twelve races. Their worst finish over the entire course of SpeedWeeks was an 11th place at Volusia. 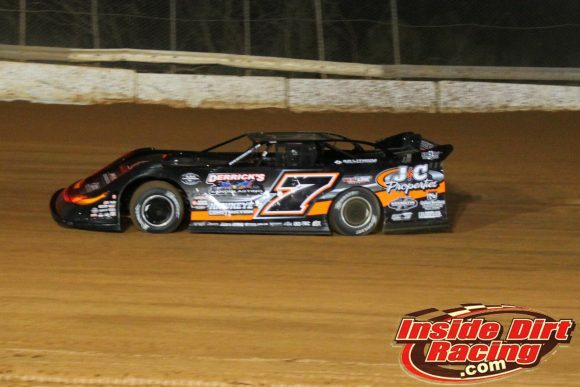 It was truly a remarkable February for Sheppard and his crew which has placed them first in the WoO Late Models standings at this early juncture. Jonathan Davenport: Davenport’s off-season was marked by the departure from his Lance Landers-owned team by engineer Kevin Rumley but the defending Lucas Oil Late Model Dirt Series champion was almost as remarkable as Sheppard in Georgia and Florida. He picked up three wins during his time at East Bay Raceway Park and looked like he might have an excellent shot at another until a late race tangle with Tyler Erb knocked him from contention. “Superman” also tallied a total of six top-5 finishes and showed even more strength by winning six preliminary races throughout SpeedWeeks. The No. 49 Longhorn Chassis team has picked up right where it left off in 2018 as they left Florida with the points lead for the LOLMDS tour. Tyler Erb: Success during SpeedWeeks for Best Performance Motorsports is nothing new. Drivers Josh Richards and Brandon Sheppard have steered their cars to victory lanes in Georgia and Florida before. 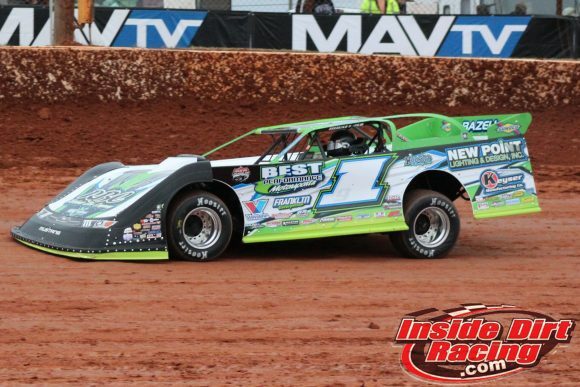 But the 2019 version of this annual trek to the southeast saw Tyler Erb behind the wheel of the green Rocket Chassis machines. 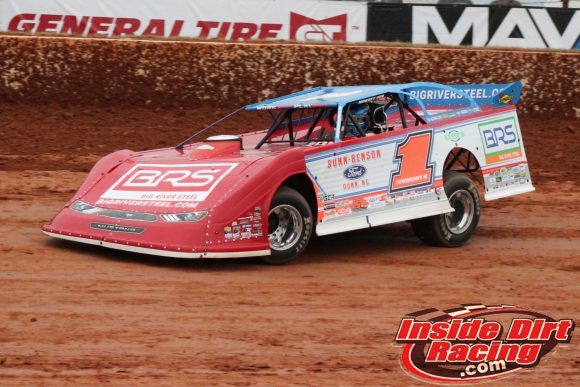 Having a new pilot in the seat seemed to make little difference as Erb proved to be red hot right out of the gate for his new team scoring a total of three wins at Golden Isles Speedway and East Bay Raceway Park. The real test will come as the long season plays out, of course, but for now the Texan currently ranks second in the LOLMDS standings just behind Davenport. 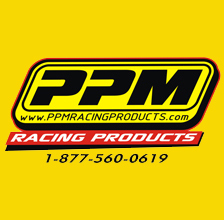 Earl Pearson, Jr.: EPJ had the look of a driver who has become very comfortable with the Black Diamond team for which he began driving last year. 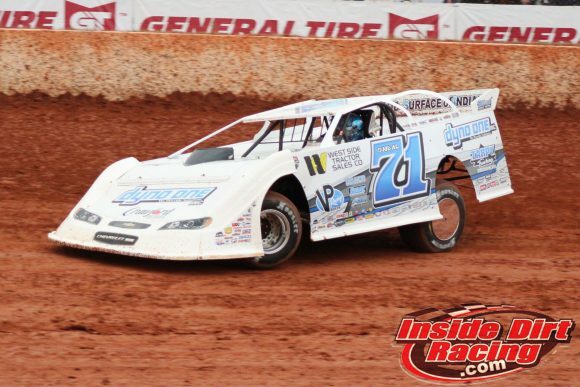 He scored a win at Golden Isles Speedway near his Jacksonville, Florida home and came so very close at East Bay Raceway Park when he was just edged out by Hudson O’Neal. The No. 1 machine garnered a total of five top-5 finishes with four of those nights ending on the podium. Pearson currently resides in third of the LOLMDS standings. Scott Bloomquist: Getting disqualified from one race for placing an unapproved substitute driver in the car for a feature and having his crew chief taken away from the track by police officers aside, Bloomquist had a solid SpeedWeeks. However, the No. 0 Sweet-Bloomquist car did not pull into a victory lane during the time spent in Georgia and Florida. But on the bright side for “Black Sunshine” there were five top-5 results and six preliminary triumphs. 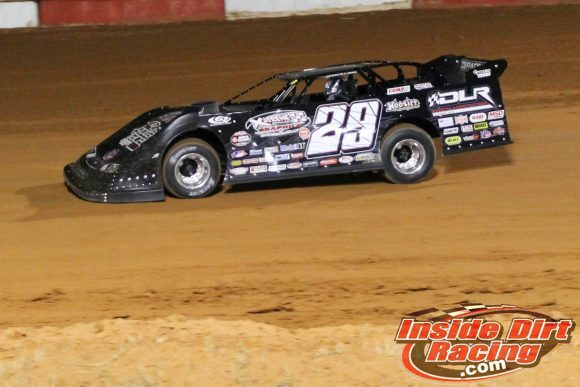 Bloomquist currently resides in the fourth position of the LOLMDS standings. 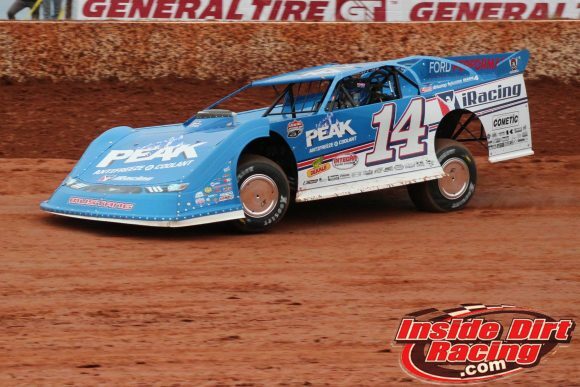 Josh Richards: This driver who has won both the World of Outlaws Late Models Series championship and the Lucas Oil Late Model Dirt Series championship made news over the off-season when he parted ways with Best Performance Motorsports to join Clint Bowyer Racing. While this year’s Georgia-Florida SpeedWeeks was not as spectacular as some have been for Richards, it was solid. The No. 14 Rocket Chassis earned five top-5s and scored five preliminary victories so speed is definitely there in the CBR cars. The process of learning each other’s ways will take some time but there are likely to be feature wins in this team’s future. Richards is sixth in the LOLMDS standings. Shane Clanton: While Clanton didn’t have as many SpeedWeeks starts as some, he made the most of what he had. One win and three top-5s resulted from seven starts for the “Georgia Bulldog”. While there were not necessarily any major changes on the No. 25 team over the off-season, his Capital Race Cars chassis supplier received a boost when Chris Madden joined that group. 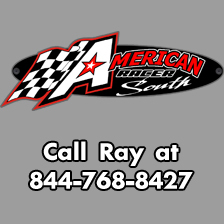 His victory at Screven Motor Speedway may very well have set the tone for the coming campaign. 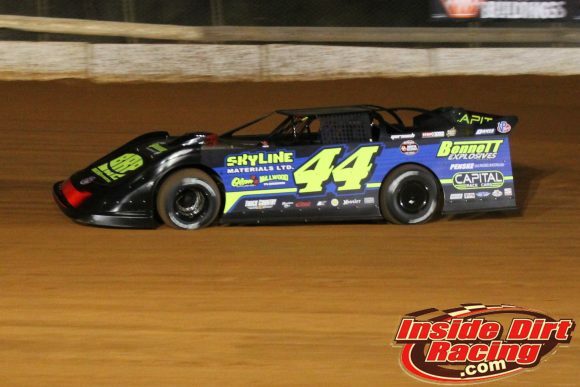 Clanton currently ranks second behind Sheppard in the WoO Late Models standings. 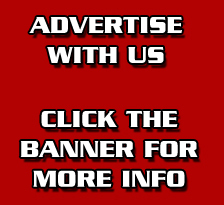 Brandon Overton: After driving for no fewer than three Super Late Model teams last year, Overton appears to have found firm footing with former NASCAR Gander Outdoors Truck Series driver Joey Coulter. Indications are that the No. 2 team will take their Rocket Chassis on the road to follow the WoO Late Models tour. 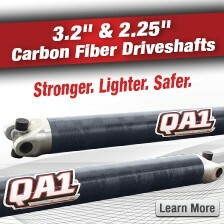 If that proves to be the case, they started that campaign well by winning the series opener at Screven Motor Speedway. 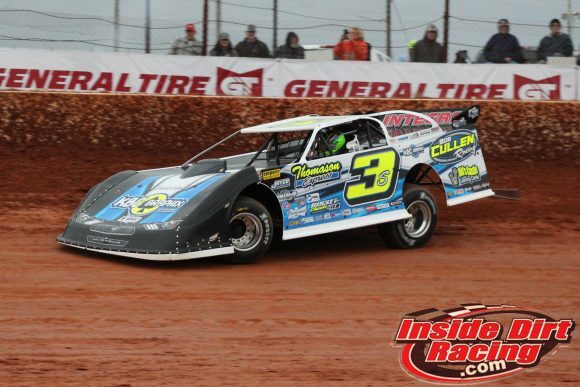 Overton’s thirteen SpeedWeeks starts resulted two top-5 finishes and five preliminary wins. Inconsistency, however, has placed the No. 2 team in the ninth overall spot in the WoO Late Models standings. Chase Junghans: Consistency was the trademark for the Kansas driver as he did not pick a win during SpeedWeeks but he did make all eleven features he attempted and earned three top-5 finishes with a third at Screven Motor Speedway marking his best performance. Significantly, all three of the No. 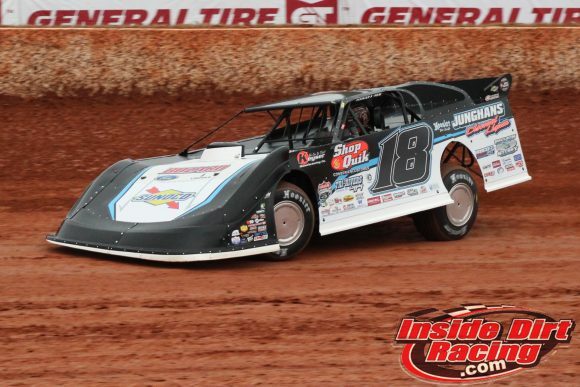 18 Rocket Chassis car’s best finishes were in WoO Late Models points-paying events which has placed him fourth in the standings of the series he plans to once again follow in 2019. Don O’Neal: O’Neal himself did not change teams but he did get a new teammate at Clint Bowyer Racing in the form of Josh Richards. 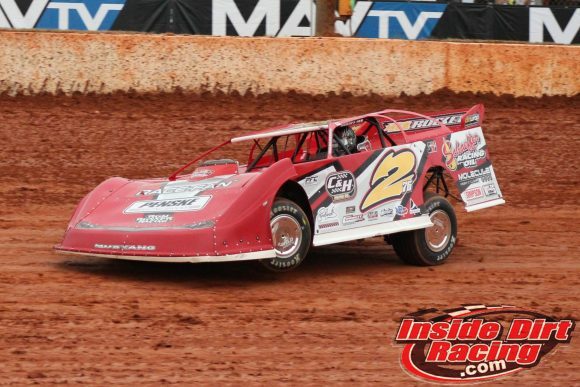 Further, CBR has switched from Club 29 Race Cars to Rocket Chassis. 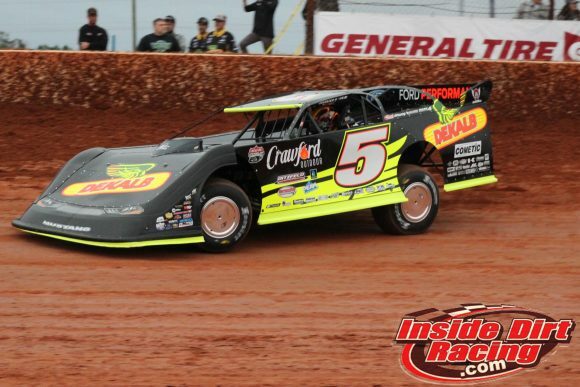 O’Neal earned four top-5 finishes, including a second at Volusia Speedway Park during SpeedWeeks. There was some inconsistency with the No. 5 car which accounts for him being ranked eighth in the LOLMDS standings coming out of Florida. Hudson O’Neal: Shoulder surgery sidelined this driver just after the North-South 100 last year but he is back and appears to be unfazed. O’Neal scored one of the most thrilling wins of all SpeedWeeks when his Longhorn Chassis roared by Earl Pearson, Jr., Tyler Erb and others late in a feature at East Bay Raceway Park. That, however, would prove to be his only top-5 of the February action. The younger O’Neal is currently 11th in the LOLMDS standings. Darrell Lanigan: Here’s a driver who made a major change during the off-season as he left Clint Bowyer Racing to re-form his own team. 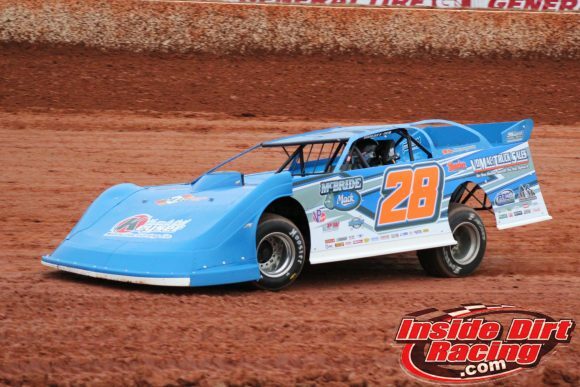 And more, The Club 29 Race Cars boss will move way from the Lucas Oil Late Model Dirt Series and return to the World of Outlaws Late Model Series where he has enjoyed a great deal of success throughout much of his career. Lanigan picked up three top-5 finishes with a third at Volusia Speedway Park being the top result. Lanigan is currently sixth in the WoO Late Models standings. 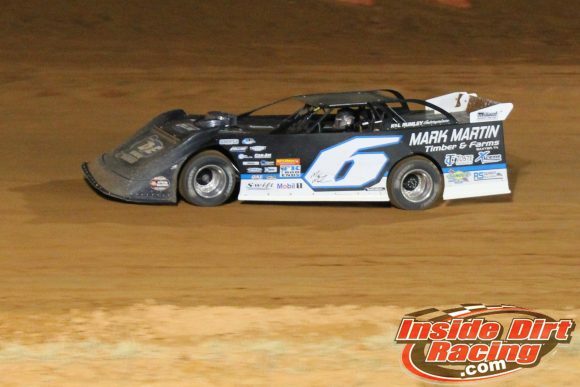 Mike Marlar: The reigning World of Outlaws Late Model Series title holder does not plan to defend his championship from last season. 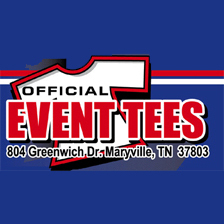 Instead, Marlar has paired with engineer Kevin Rumley on the K&L Rumley Enterprises team to run a limited schedule that will include many of the sport’s bigger races. The No. 6 Longhorn Chassis earned a win at Volusia Speedway Park and one other top-5 finish in seven starts while in the Sunshine State. 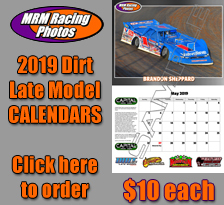 Devin Moran: A couple of big moves highlighted Moran’s off-season as he moved to Dunn Benson Motorsports and moved from the WoO Late Models Series to the Lucas Oil Late Model Dirt Series. No wins came during SpeedWeeks but three top-5s demonstrated that the new pairing will be competitive throughout the year. 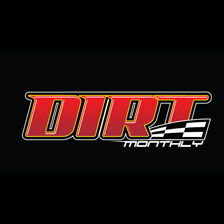 Moran leaves Florida in the fifth position of the LOLMDS standings. 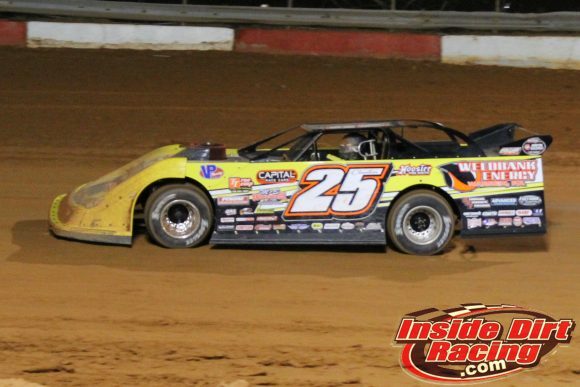 Chris Madden: This driver has a second and a third in the final rundowns of the last two World of Outlaws Late Model Series final standings as he seeks that elusive first national series title. He moved from the Barry Wright Race Cars house car in 2018 to a team owned by Iowa’s Greg Bruening with Capital Race Cars being the chassis of choice. Madden scored two second place finishes during SpeedWeeks but there almost certainly will be feature wins in the near future for the No. 44. Madden is third in the WoO Late Models standings at present. Jimmy Owens: It’s no secret that Jimmy Owens has not had the best moments of his career during Georgia-Florida SpeedWeeks. But considering just how many great moments there have been in his career, that would be a difficult accomplishment. The No. 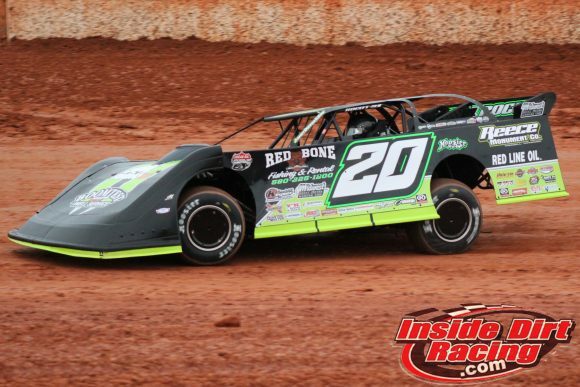 20 Rocket Chassis has speed as was demonstrated by the fact that he was racing for the lead at Golden Isles Speedway when he spun out of contention in the LOLMDS opener. Owens only managed one top-5 this February but he did have three preliminary victories. The three-time champion currently resides in the 10th position of the LOLMDS standings. Ricky Weiss: Tjhe Canadian driver who won last year’s North-South 100 plans to make a full-time go of it on the World of Outlaws Late Model Series in 2019. 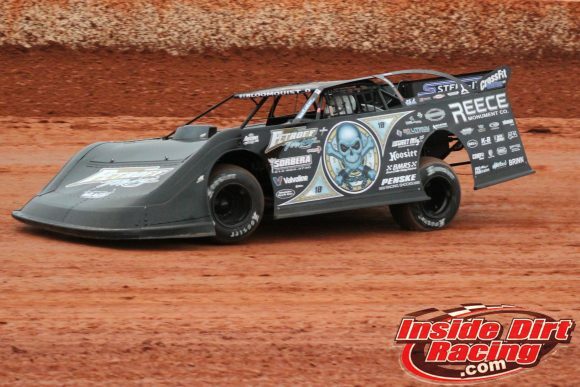 Weiss scored one top-5 result during SpeedWeeks in his Sweet-Bloomquist ride. 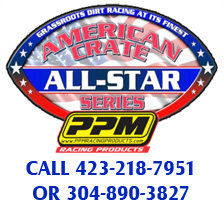 However, three top-10s so far have placed him in seventh in the WoO Late Models standings. 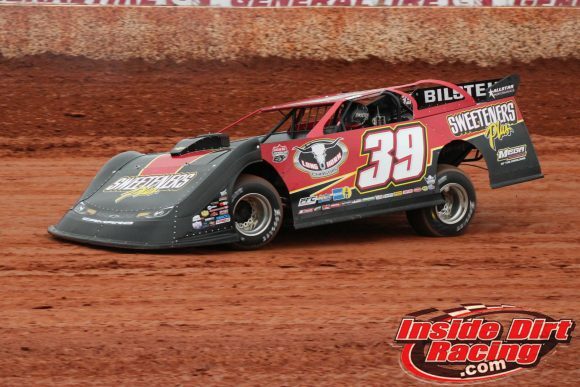 Tim McCreadie: The veteran New Yorker just couldn’t seem to build any momentum during SpeedWeeks scoring only one top-5. However, he did show that his Longhorn Chassis has the capability to lead the pack as he won five preliminaries. This driver and team seem to be at their best during the long grind of the season. Right now, the defending World 100 champion is seventh in the LOLMDS standings. 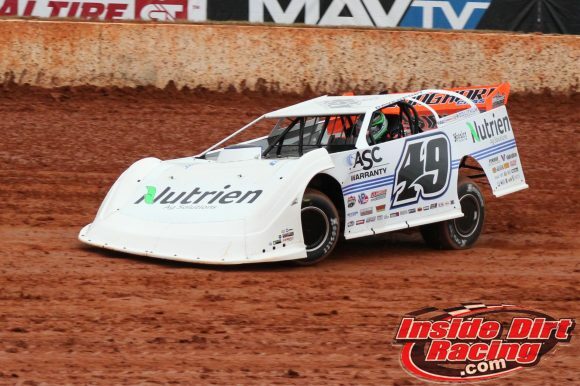 Brian Shirley: The former Summer Nationals champion survived a terrible looking crash at Golden Isles to post two third place results and a total of four top-10s. Indications are that the Illinois driver may take on the World of Outlaws Late Model Series. 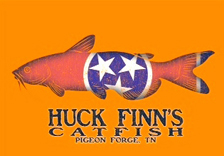 If so, he is off to a good start as he sits fifth in the overall standings. 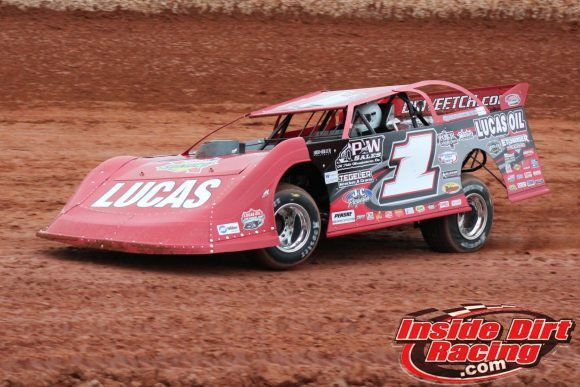 Dennis Erb, Jr.: Here is another driver who looks to have traded the Lucas Oil Late Model Dirt Series for the World of Outlaws Late Model Series. 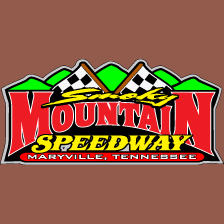 A total of two top-5 finishes, with one of those coming in WoO Late Models competition, has placed him in the eighth spot of that series points chase.